I honestly have no idea why Mental As Anything – the Australian Rock quintet - are not superstars. And if not superstars, they should at least be a huge cult band beloved by music fans around the world. Or, at the very least, adored by fans of classic Pop acts like Nick Lowe, Squeeze, Elvis Costello, etc. Now that the Mentals are just about to celebrate their 40th Anniversary in 2017, it’s about time that the world started paying a lot more attention to them. They are truly one of the finest bands to emerge from Down Under in the last… err… 40+ years! Their blend of rootsy Rock and melodic Pop places them firmly between Nick Lowe’s side of Rockpile and Squeeze circa ’79 to ’81. The Mentals’ quirky sense of humor also fits that same comparison. However, the band were/are their own ‘thing’ and comparing them to other artists is ultimately unfair. While their music is filled with liberal nods to Rock ‘n’ Roll’s past, they don’t sound like any other band, past or present. Sure, you can hear their influences but it is hard to pinpoint any particular artist that may have inspired them along the way. 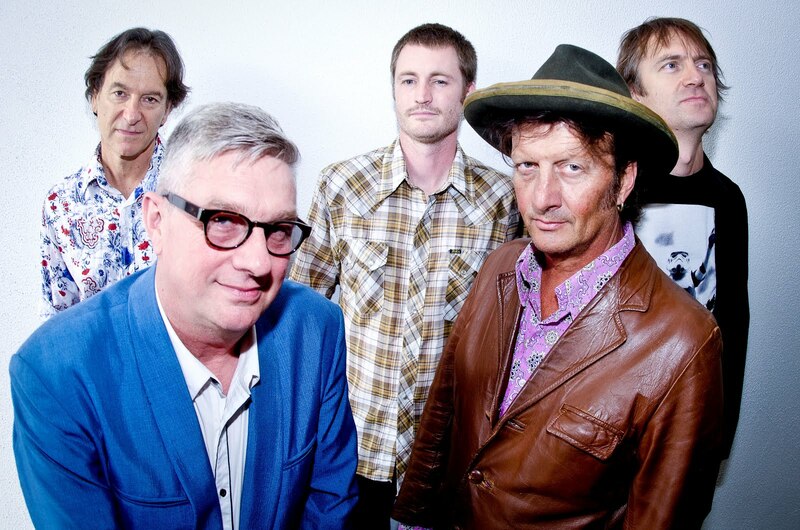 Mental As Anything are true originals. 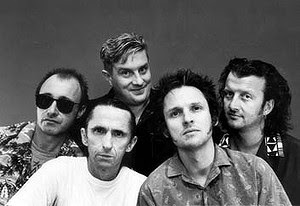 They evolved over the years, adding more elements into their sound but they have never deviated too far from the sound that put them on the Oz map. 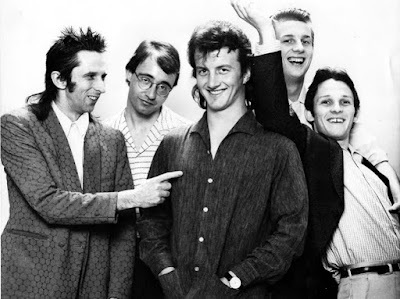 Now, 40 years later, Mental As Anything are still around, although only Plaza and Smith remain from the original line-up. Mombassa and Doherty left to focus on their side-project DogTrumpet (they have released a series of fantastic albums over the years that are worth tracking down) and Twohill left the music business. 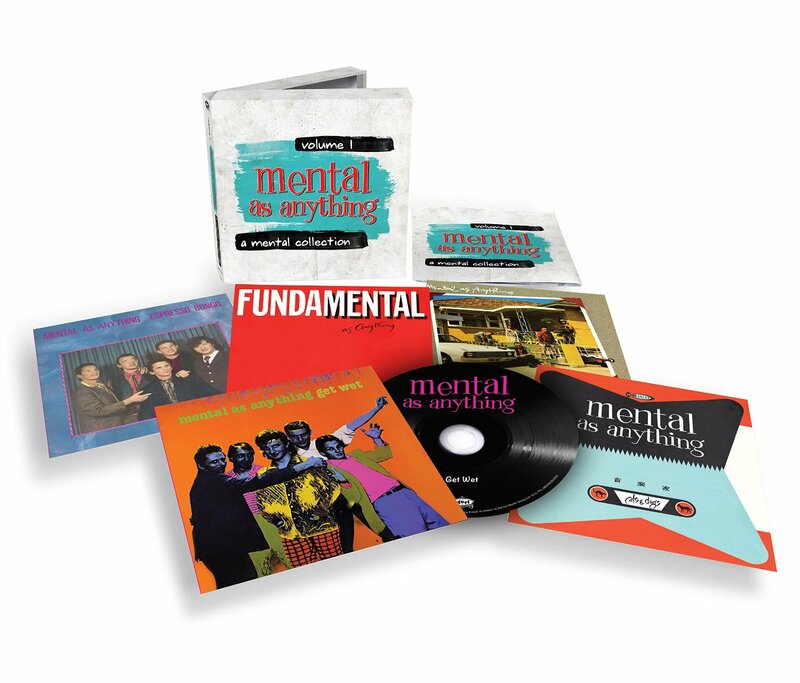 While there are no plans to release a new Mentals album, they have issued two singles that you can order through their official website. But what about their 40th Anniversary celebrations? Shouldn’t there be an international holiday to honor this great band? 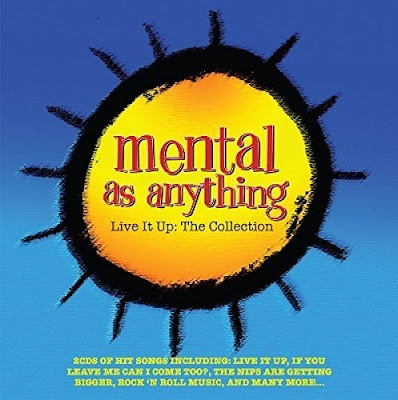 Thankfully, Edsel Records in the UK had the foresight to make it easy for you to celebrate Mental As Anything’s legacy by releasing both a two CD set entitled LIVE IT UP: THE COLLECTION and a CD box set – A MENTAL COLLECTION VOLUME ONE - containing their first five albums in mini LP sleeves. And both releases are essential to any music lover’s collection.